With two toddlers at home and a full-time job, Cheryl Lay knew bringing a new baby into her life would be a challenge, but she felt confident and ready. That changed the day Lay was told she would need a cesarean delivery (also known as a “C-section”). She was suddenly terrified. Lay’s baby was breech, meaning the baby wasn’t positioned to be delivered head first. 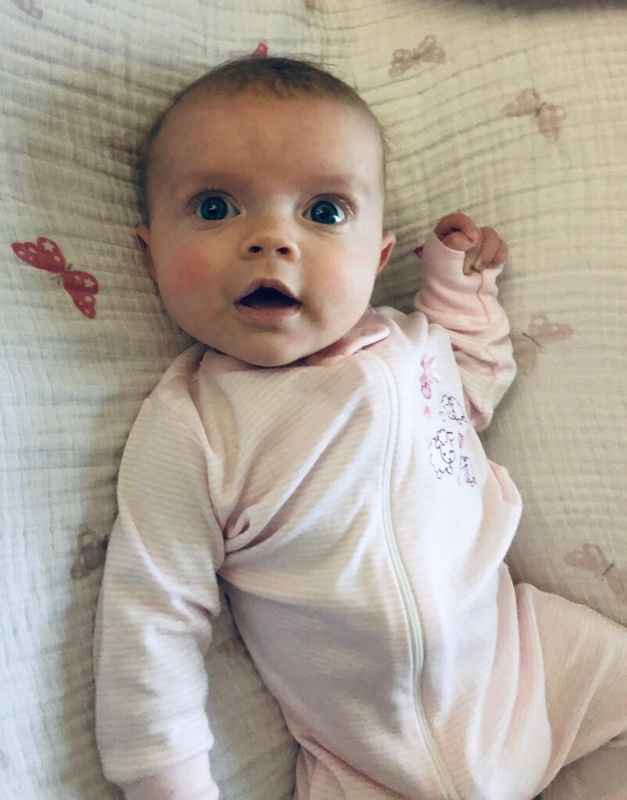 The delivery was supposed to happen in less than a week, and her husband had just started a new job — so he wouldn’t be able to stay home and help if she needed a longer recovery time from a surgical delivery. Seeing how concerned Lay was, a nurse practitioner arranged for her to meet the doctor who would be on call the day of the delivery. That’s how Lay met Steven Andrade, MD, a perinatologist who delivers high-risk babies at Fort Sanders Regional Medical Center. Dr. Andrade could tell from the moment he met Lay that she didn’t feel comfortable with the idea of a cesarean delivery. He set her mind at ease, letting Lay know that he would do everything he could to help her deliver her baby without a C-section. On Oct. 23, 2018, Lay checked into the hospital and the process of bringing her baby girl into the world began. Dr. Andrade had his work cut out for him. Dr. Andrade first tried to turn the baby while she was still inside her mother, pressing his hands on Lay’s belly to move the baby and monitoring progress through ultrasound. But with labor getting more intense and delivery time getting closer, Dr. Andrade made a decision to stop the turning process and do a breech delivery. With a combination of skill, determination and compassion, he worked to deliver the baby “bottom first.” Several nurses gathered in the room, many of whom had never witnessed a breech birth. Even with the activity in the room and the excitement of the delivery, Dr. Andrade continued to focus on one thing only: putting the needs of mother and baby first. Baby Melody Lay came into the world at 2:50 a.m. on Oct. 24, healthy and ready to join her family. Lay has already recommended Dr. Andrade and Fort Sanders Regional to other women. She also makes her opinions known to members of the parenting Facebook groups to which she belongs. If the subject of breech pregnancy comes up, she’s quick to respond. “And you’d best believe I immediately message them and tell them about my experience!” Lay says. ‘Fort Sanders Regional delivers more babies than any other facility in the area, including more than 20,000 high-risk babies over the last 20 years. Specialists on staff are available to address a wide range of special needs. You can learn more about options for moms-to-be at fsregional.com/womens-services/.